Zambia, as many of sub-Saharan African nations, is faced with a serious problem of orphaned or disadvantaged children, several of whom are roaming the streets begging for help. It is estimated that Zambia has between 900,000 to 1,000,000 children who are orphaned and disadvantaged due to difficult economic problems compounded by the HIV/AIDS pandemic in the region. We have a great challenge at hand and a generation needs to be rescued, helped and empowered. The purpose of LifeNet is to provide opportunity for these young people who if we did not come along side of would not be able to realize their dreams of living a fulfilled and meaningful life. One child at a time is our starting point and there are so many 1’s we are yet to reach. Silas was born in 1993 in Garden Compound, Lusaka on the 19th of September, 1993. He was born in a family of five and he is the fourth – born. His father died in 2001 while his mother died in 1999. 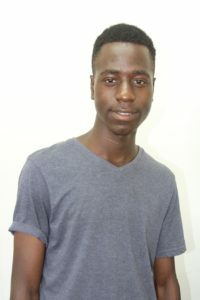 Gift was born in 1995 on the 4th of April, in a family of two of which he is the first-born. His father was a twin who passed away when Gift was a baby. His mother passed on when Gift was in his second grade. Truvent was born in 1998 on April 4th ; he is the first- born child in a family of two. He was born in Chikonga Village, Chibombo. Truvent’s mother passed on in 2000 and his father died two years later after a long illness. Ben was born in a set of triplets to Mr. Burton Obert Moonga and Mrs. Hilda Halweembe Moonga in 1999 on February 6th . His mother died few months after giving birth to her triplets. The cause of her death was T.B, which she had battled with for a long time even during her pregnancy. 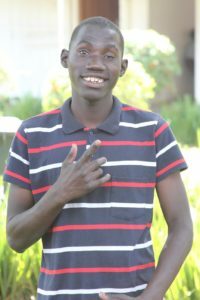 Mapalo Daka was born in 2001 on 16th August. 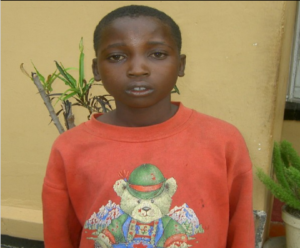 He came to LifeNet from Chilenje transient home through the Social Welfare Department. Mapalo went to Chilenje Transient Home through social welfare after staying for a while at a police station. Blessings’ birth date is not well known. He was born in Lukata Village. Both his parents died after long illnesses. We adopted him on the 17th of November, 1996 as his birthday. 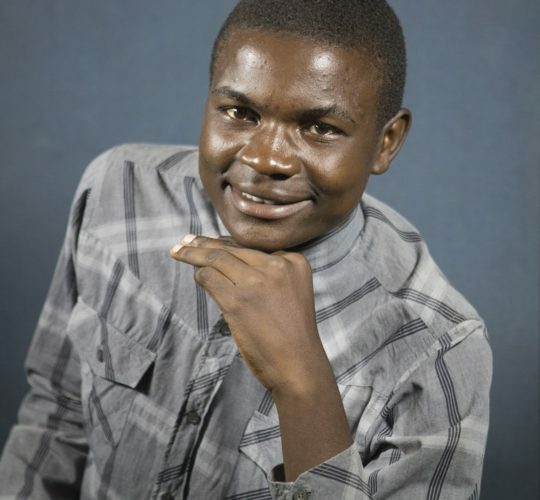 Abraham Sakala was born in 1995 in Katuba Central district of Chibombo. Although his exact date of birth is not known, 12th February has been adopted as his birthday. Abraham is a maternal orphan and the whereabouts of his father, known by some as a bankrupt alcoholic are not well known. Rayford was born on 27th October, 1984 in Petauke in the Eastern province of Zambia. His father died when he was a child and he does not remember when this was. Sadly, the above did not prove easy for Rayford’s mother and his family. Joseph Cheepa was born on 12th May, 1998 in a family of eight and he is the seventh – born. His parents were poor gardeners who also looked after other orphaned children. As such, Joseph was one of the children that were used in the garden for cheap labor. Wiza grew up with his maternal relatives in Lukata Village. Wiza was born on 20th January, 1995 in Itezhi-Tezhi district the southern province of Zambia. 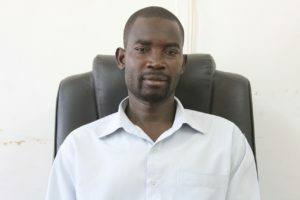 Isaac Mulimbika is the third born in a family of three. He was born on the 6th of April, 1992 in Lukata Village. © 2019 LifeNet International. All Rights Reserved. He was left to stay with his grandmother who could not take care of him and his siblings as children but was instead only interested in getting rentals for a house his father had left behind. Silas didn’t have anyone at that moment with a stable income to look after him. The above forced Silas and his brother to move to the streets were they thought they could get help. They would go on the streets in the afternoon begging for money and then back home in the evening to catch some sleep only to wake up the following day to the same routine. 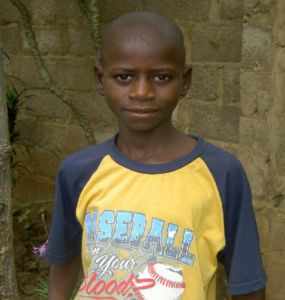 Silas was unable to continue his education because of what had befallen him and his family. He was then brought to LifeNet on the 30th of May, 2002. He was then enrolled in grade three in the same year (2002) at Bayuni Basic School in Makeni. 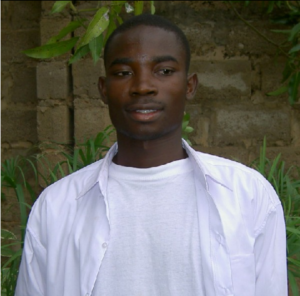 His academic performance was not up to average when he started school in Makeni, but through the help of a personal tutor, his situation improved tremendously. He became one of the best students in his class. It is very gratifying indeed to see someone who was among the least in his class become one of the best. Fast forward to 2018, Silas is currently working for one of Zambia’s leading Telecommunications Company (Vodafone) as a Sales Agent. 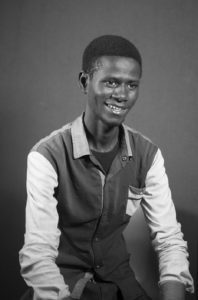 Through the support of LifeNet, he successfully completed tertiary education after undertaking an Accountancy course at Evelyn Hone College of Applied Arts and Sciences. He was then adopted by his uncle who was a twin brother to his late father. Because of the economic challenges his uncle was facing, Gift could not continue with school. He dropped out of school in grade 4. His uncle was a laborer in the nearby farms with many children to look after. This situation therefore, made it difficult for him to manage providing for Gift’s basic needs, especially school requirements. Gift was then forced to take on some manual work in order to make ends meet. When LifeNet went to conduct an assessment of vulnerable children in Lukata Village, meeting Gift for the very first time, it was very apparent that this particular boy’s life was on the line. He came to LifeNet on December 12th, 2005. And was immediately enrolled into primary school the following month. Today, Gift is the co-founder of a real estate company, and acts as the Property Researcher and Marketing Officer. 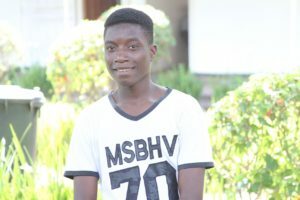 With the help of LifeNet, Gift graduated from high school and now that he is independent, he would like to pursue further studies to better enhance his qualifications. Just after the death of his father, Truvent and his brother Ronnie were put in a precarious situation as decisions of who was going to take on the responsibility of raising the two children led the maternal family to take up the responsibility. However, this responsibility was a mammoth one to the already aging grandparents who were also looking after many other orphans. He came to LifeNet in 2004 in Makeni when he was 6 years old. In 2006 LifeNet enrolled him in Grade one at Ng’ombe Basic School (a school within the Lusaka Community). Truvent’s exceptional performance in school through the support of LifeNet led to his high school graduation with flying colors! Currently, Truvent is waiting to enroll for a course in Nursing at Northrise University in Ndola, Zambia. The first among the triplets died at birth and the second died shortly afterwards during the time their mother was in hospital. 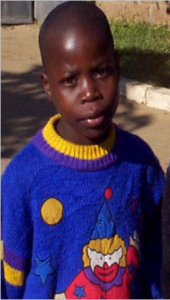 Being the only survivor Ben, was taken to Chilenje Transient Home in Lusaka through Family Health Trust of Zambia, which saw the boy in the appalling state he lived. He was 11 months when he was taken to the said home, though he looked much younger than that. Ben lived at the Transient home from the age of 11 months until the time he was 5 years old (2004). From there he was transferred to LifeNet Children’s Rescue Mission. When he came to LifeNet, he was quite frail and sickly though active in play. Fortunately, it was discovered that he was a strong boy even in his frail state. From the time LifeNet adopted him, he has not had any complications with his health apart from the usual colds and coughs. Ben was immediately enrolled in grade after settling down in LifeNet. Today, through the help of LifeNet, Ben is currently in junior high school (grade 9) and will be graduating to senior high school next year. Little is known about Mapalo because he was young when he was found and nothing he said added up to anything leading us to establish who he was. Because of this, it has proved difficult to investigate if any members of his family are alive or dead, it has also been difficult to establish who he lived with and where he lived. Therefore, at the adoption center he was called junior Daka. He stayed at the Transient home from 22nd July 2004 to 12th October 2005. When he came to LifeNet, he was given a first name Mapalo, which means Blessings. He came to LifeNet on 12th October 2005 with his scalp full of sores and his neck swollen and weak. 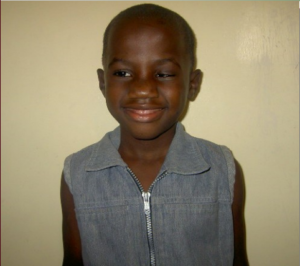 Mapalo was enrolled into school after turning 6 years old. Fast forward to today, through the help of LifeNet Mapalo is currently in grade 6. After the death of his parents, he started staying with his grandmother in the same village. His grandparents did not have a stable source of income. His grandfather was a retired Head teacher and his grandmother a gardener. As a couple, his grandparents looked after many orphaned children and found it difficult to fend for all of them. Therefore, they opted to have Blessings adopted by LifeNet Children’s Rescue Mission. Blessings stopped school in grade three because of lack of sponsorship. 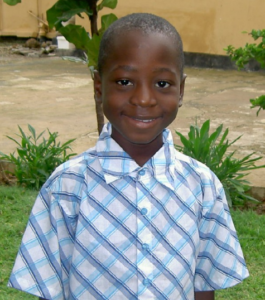 However, through the support of LifeNet, he was enrolled in grade 4 in March 2006. Currently, Blessings graduated from high school and intends to pursue further studies. 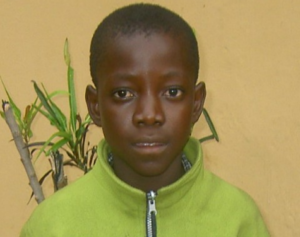 Before coming to LifeNet, Abraham was living with his grandmother. She was a divorced woman who looks after 11 other children orphaned by HIV/AIDS related illnesses. Because of this, she found herself in a serious situation of impoverishment, having had no stable income apart from the meager revenue she got from gardening. Prior to coming to LifeNet, Abraham was engaged in child labor in the nearby unproductive gardens. He was integrated into LifeNet on March 29, 2004. This was preceded by an assessment, carried out by LifeNet staff to ascertain the status of the child. 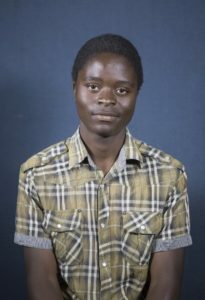 Abraham through the help of LifeNet, has since been through school and graduated from high school. The city proved to be very costly and demanding for the family as the family could go for days without meals and proper clothing. This led Rayford to start looking for manual work in the nearby townships. In the hunt for work, he thought it was better if he stayed on the streets and made quick money without realizing what street life had in store for him. Rayford went onto the streets in 1997 at the age of 13. His street livelihood was accompanied by many difficulties like sleeping in the cold; going without food for days and being bullied by older street boys. An organization called Hope for Children took Rayford off the streets in August, 2000. LifeNet then adopted him in 2001. Before LifeNet came to the rescue, the highest conventional educational level he reached was grade three. However, he went through some reading, writing and speaking skills by through the help of LifeNet. 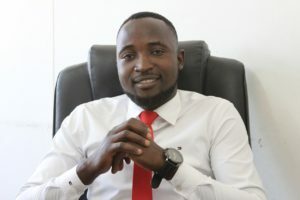 Today, Rayford is married with one child and has his own cleaning company which he is working hard to develop into one of the largest cleaning companies in Zambia. On top of this, Rayford would like to one day open up a home for vulnerable children as inspired by LifeNet. At a very tender age, he would wake up early in the morning with his young nephew, Truvent to go and work in gardens and herd goats. 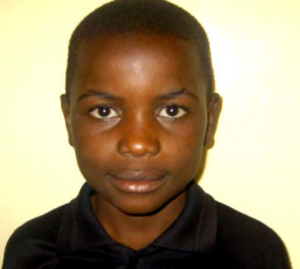 By the time he was adopted by LifeNet, he had never attended school. This was because of some activities that kept him busy. LifeNet adopted Joseph on 29th March, in 2004. 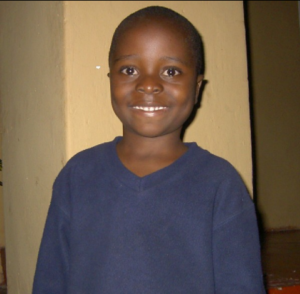 He was then enrolled in grade one seeing that he had not been going to school during the time he was in the village. Joseph’s academic performance was below average. He was quite slow at learning and therefore needed a lot of individualized attention. With the help of LifeNet, his performance improved and he moved to the top ten best students in his class. Today, Joseph works as a Mobile Money Agent for one of Zambia’s leading Telecommunications Company, MTN Zambia. Little is known about his background but when LifeNet went to Lukata Village for an assessment and enrolled several boys Wiza was not going to let this opportunity pass him by. He cried so hard seeing his friends leaving to join LifeNet so much that our Coordinators were persuaded to carry him along. 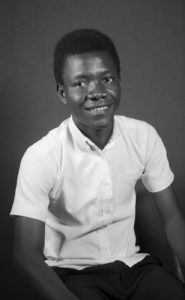 Through the help of LifeNet, Wiza was enrolled in grade 6 and he sailed through his academic pursuits with flying colors. He graduated from High School and went on to Evelyn Hone College of Applied Arts and Commerce to pursue a course in Computer Sciences. Today, Wiza is a self-established businessman pursuing his passion as an entrepreneur. Isaac lost his mother in 1992 and his father dies 9 years later. His parents passed after being sick for a long time. He has never known his mother as she died when he was still a baby. One of Isaac’s Aunties took over the responsibility of looking after him. The same Aunty looked after the rest of his siblings and her own children. Additionally, she was a widow who was determined to see her children as well as Isaac and his siblings get educated and have a decent life. Nevertheless, things could not work out as she had hoped because her only source of income was through gardening. 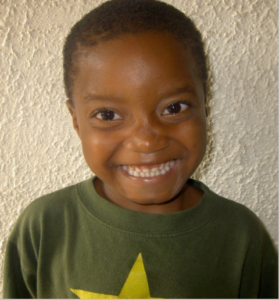 In December 2005, Isaac was enrolled into LifeNet from Lukata Village. Through the help of LifeNet Isaac was able to attain an education and graduated from High School. 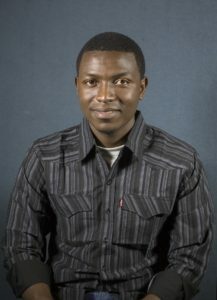 Currently, he is working for one of Zambia’s Leading Telecommunications Company Vodafone, as a sales Agent.